Trampoline park operators Jump Inc continue expansion plans as recent investment leads to the launch of a brand-new inflatable theme park at the Jump Inc site in Leeds. The new installation will complement the existing trampoline park as only a selection of the trampoline beds and dodgeball area will be removed. 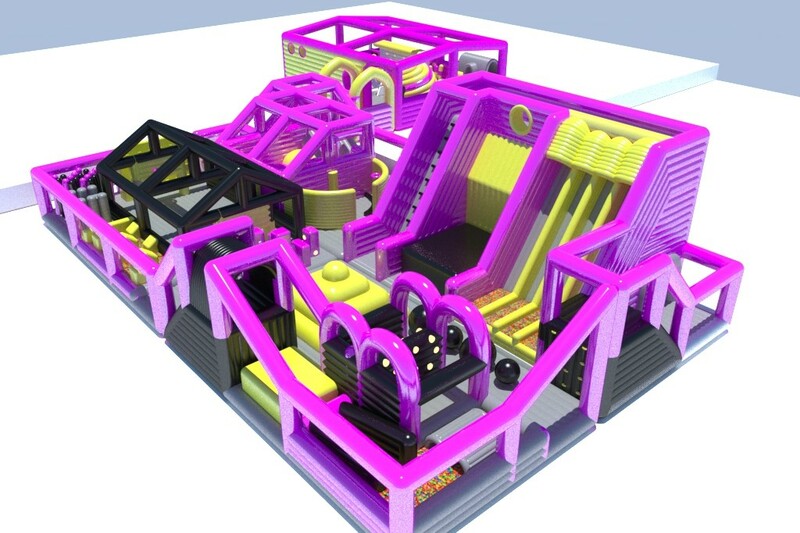 This open space will be re-packed with exciting new and unique activities – customers can experience a challenging obstacle course, giant wipe out balls, free fall canon jump, corner slide and loads more. The 6000 square ft inflatable feature opening this Summer will host a dedicated toddler area, ball pool, pyramid climb, sensory dome and interactive walls– guaranteeing hours of entertainment for everyone. Jump Inc constantly strive to operate innovative and creatively designed parks and have an enhanced aim of becoming a one stop leisure destination, providing diverse activities that will be fun for anyone, of any age. Further refurb developments will reveal an open track area for inflatable electronic ‘basher cars.’ The cars are sized to seat various age groups and weight, housed in a 16 x 8 metre inflatable fence. A selection of the basher cars seat both parent and toddlers, as well as individual cars which seat only children or single adults as they manoeuvre around the floor. In addition Jump Inc are designing an isolated gaming zone, with a variety of exciting arcade machines and interactive games. The transformation into a hybrid mega park should create more job opportunities too. “After extensive company research visiting suppliers in various countries, we’ve identified a change in the leisure industry. We’re still passionate and keen to continue operating trampoline parks but very excited to refurbish and advance the Leeds site”, Director Lee Shipley, explains.